An internal order is used as an interim collector of costs and is used for planning, monitoring, and controlling the processes. When the job has been completed, you settle the costs to one or more receivers like cost centers, fixed assets, etc. How to perform settlement of IO to Cost Centers? 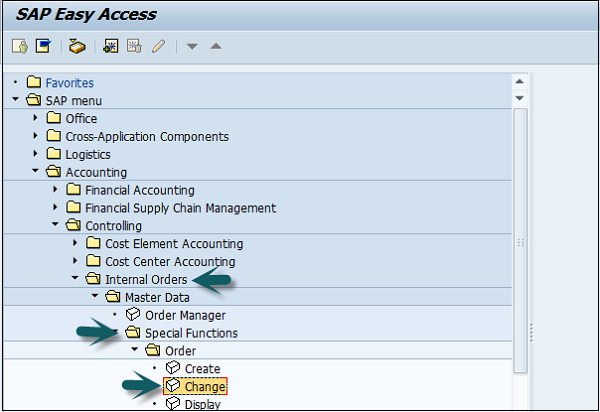 Use the T-code: KO02 or Go to Accounting → Controlling → Internal Orders → Master Data → Special Functions → Change. A new window will open. Enter the Order number for which settlement is to be done. In Category column, enter ‘CTR’ for the cost center. 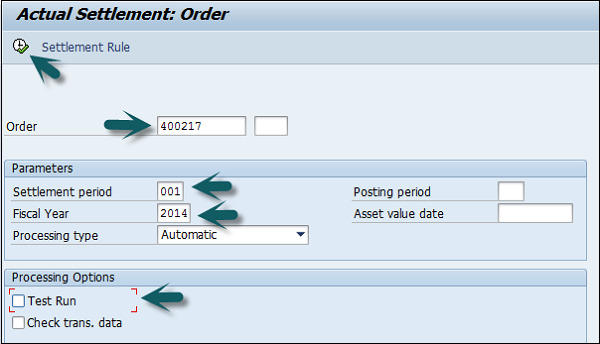 In Settlement receiver Column, enter the Cost Center in which the Order is to be settled. Enter the percentage amount which is to be settled. In Settlement type, enter ‘PER’ for periodic settlement. Click the save button at the top to save the settlement rule and come back to the main screen. Order for which the settlement rule is maintained. Click on the Execute Button to run the settlement. A new window will open with a Settlement display message. Click the Continue button to complete the processing.